Bruce W. Teele March 14, 1946 – March 23, 2018 All Services are currently Private. of Needham, on March 22, 2017. 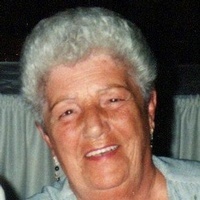 Beloved wife of the late Jack Resnick. Services pending The post Anne Resnick appeared first on Brezniak Rodman Funeral Directors. Newburyport, MA – Barbara Brogan of Newburyport passed away on March 21, 2018, at the age of 85 after a long illness. She leaves behind her brother, James Brogan of Gulfport, Ms. and her sister Ann Gosselin of Rochester, N.H.
Merrimac, MA – John J. “Jack” Marlowe, II, 52, recently moved to Merrimac and was a longtime resident of Salisbury and Newburyport, passed at his home on Tuesday afternoon, March 20, 2018. He was the husband of Susan Cavalieri and former husband of Cathleen A.